Not that we care about the intricacies of marketing that much here at the Critics Circle, but we do care about cross-cultural concinnity, a kind of beautiful harmony between gaming and other pop culture entities. Recently, what we’ve seen with the gaming industry are co-promotions that lack creativity. Halo and Mountain Dew is an example. Beyond Halo, co-promoting energy drinks with any other generic shooter is another banal exercise, akin to a journalist getting a pizza in the mail to entice us to review a product. It’s old. 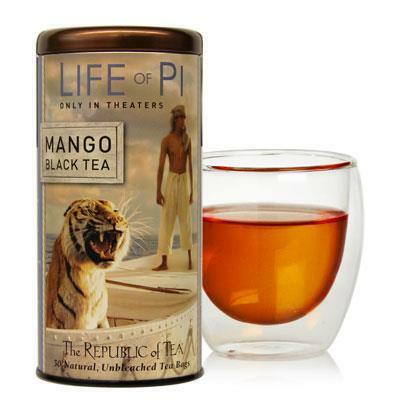 So when I saw “The Life of Pi” and “Anna Karenina” with their own Republic of Tea teas, we took notice. One can of Mountain Dew is here and then it’s gone. But a can of 50 teas, well, that stays around for a month or two, constantly promoting whenever it’s placed on the table. For example, wouldn’t the recent Kickstarted game, Sir, You Are Being Hunted, which features tea, benefit from some branded tea? , could have used some leaves to get the word out about this historically accurate yet fantastical game. You might say, “Well, a lot of this is rubbish. Halo and its marketers are just targeting its proper demographic by using Mountain Dew. You’re not going to see Master Chief drinking tea.” But the gaming demographic is expanding and getting older. Wouldn’t a thinking person’s game like Assassin’s Creed III benefit some tea branding? More, how about Irrational Games’ upcoming game? BioShock Infinite Earl Grey, anyone? But the larger point is this: currently, branding for the bigger games can be as boring as the main story in Halo 4 (which is not a knock against its game play). The powers that are need to think harder to bring gamers into their franchises. That means offering a better experience all around – from design to narrative to, yes. marketing.